Kanu Equipment is a specialist in the supply of world-class earthmoving, mining, construction, road construction, agriculture and forestry equipment. As one of the largest dealers for Liebherr and Bell Equipment in East, West and Southern Africa and with spare parts distribution centres across the continent, Kanu Equipment is best poised to offer customer service support like never before. Kanu Equipment’s aim is to reduce the cost of development in Africa by providing quality construction machines, backed by a skilled maintenance team with spare part availability second-to-none. Kanu Equipment was founded on integrity and only distributes quality brands with the necessary OEM support to respond timeously to customers’ needs. Bell Equipment: A global leader in the manufacturing and supply of mining and agricultural equipment. Liebherr: An expert construction machinery manufacturer and supplier of technically innovative, user-oriented products and services. Case IH: Is recognized as a global provider of powerful, reliable and highly productive equipment, principally for large grain producers. Wirtgen Group: An international group of companies that offer mobile machine solutions for road construction and rehabilitation, as well as for mining and processing minerals. Tigercat: Specializes in the design and manufacture of forest harvesting systems and specialized machines for severe duty off road applications. Systems deliver processed wood to roadside at the lowest cost per tonne. Manhand: Offers high-performance materials handling equipment. The range includes forklifts, pallet trucks, stackers, lift tables, drum clamps, man-up cages, loading ramps and work platforms. Costex Tractor Parts: CTP is a worldwide quality supplier of new replacement parts for Caterpillar Equipment. Black Cat Wear Parts: Operates multiple production facilities producing a complete range of quality wear parts for all OEM brands of earthmoving equipment. Their industry leading cutting edges are distributed worldwide. Baldwin Filters: Have a vertically integrated manufacturing process which enables maximum control and consistency by not only producing filters, but also by manufacturing filter components. Duo-AquaTrap: Operates a four-stage dirt particle filtration sysem for sustainable fuel quality assurance. Berco & ETR: Offer an innovative, reliable and economical solution to any metal or rubber undercarriage need. Groud Engaging Tools: Our G.E.T. is specifically designed to engage the toughest terrain and the range includes; bucket teeth, adaptors, pins, retainers and ripper teeth for most earthmoving machinery including; Caterpillar, Hitachi, Komatsu, Hyundai, Doosan, Volvo etc. Deutz: A dedicated supplier of world-class engines and related spares throughout Africa. TechKing: A superior tyre manufacturer providing a wide range of tyres for the international market. 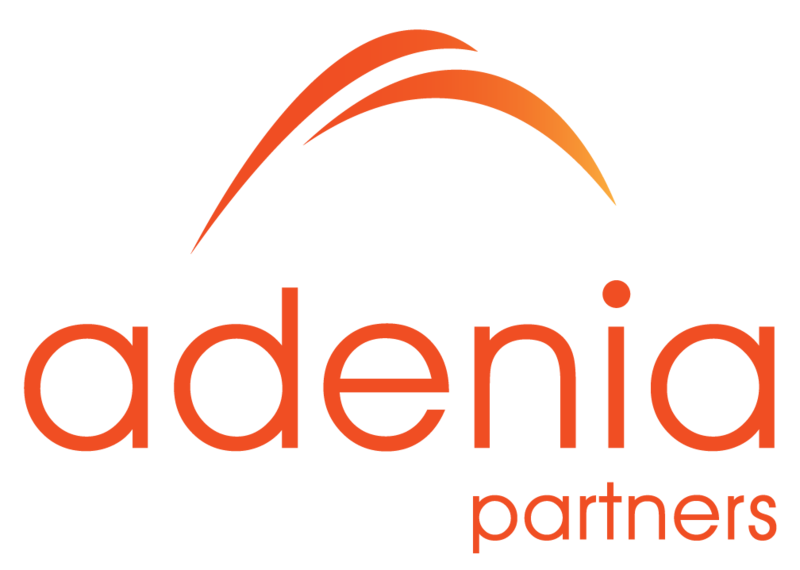 ADENIA PARTNERS, based in Mauritius, was founded by a team of successful entrepreneurs in 2002. It is a private capital management firm investing in some of Africa’s most promising businesses. Their team works hard to support the entrepreneurs and management teams of their portfolio companies as they fundamentally develop local economies in Sub-Saharan Africa. Adenia Partners has four funds under management. The first three funds, Adenia Capital, Adenia Capital (II) and Adenia Capital (III), were fully invested. They are currently investing the fourth fund, Adenia Capital (IV), which was launched in 2016. They have built a fellowship of business leaders who, like themselves, pursue an ethos of excellence through hard work and humility. By interacting and sharing resources, our business leaders make so much more of the capital invested. PHATISA is an African private equity fund manager, operating across sub-Saharan Africa, with offices in Mauritius, South Africa, Zambia, Kenya, London, Ivory Coast and the UK. Phatisa’s African Agriculture Fund commenced operations in January 2011 and has committed investments in excess of US$ 171 million, from Sierra Leone in West Africa to Mauritius in East Africa. This reflects a total of eight portfolio companies across a diverse range of agri and food related businesses. Phatisa brings a track-record of managing private equity funds and businesses throughout the continent. The African Agriculture Fund focuses on agriculture and food production which is a target growth area for Kanu Equipment. Phatisa’s aim is to fund expansion opportunities throughout Africa, increasing the rental fleet in response to demand for additional rental equipment and investing in working capital and spare parts inventories. It is envisaged that Phatisa’s expertise in developmental agriculture funding and their extensive African presence will bring deal flow opportunities to Kanu Equipment, allowing the company to reach its objective of becoming the leading distributor of equipment and related spares on the African continent. Our diverse team of experts work together to ensure that our customers always Experience the Support wherever they operate within Africa. We live by the values that although we are a small team, we are flexible and act with integrity. We are dedicated to our clients’ needs. We act courageously when approaching investments that continually improve the service and on-the-ground infrastructure that we offer our clients. Stephen is a chartered accountant having completed his articles with Deloitte and Touche and is a founding member of Kanu Equipment Group. He previously worked for Standard Bank for 8 years and was in the Leveraged Finance Division of Standard Bank where he financed large black empowerment transactions and transactions into Africa. He left to form Solethu Investments and was instrumental in growing that into a large black owned investment company focusing on the locomotive sector in Africa. 4 years ago Stephen started Kanu Equipment and together with the Kanu team has grown that into one of the largest Bell and Liebherr dealers in West Africa. Xavier is an accomplished leader in both Finance and General Management. He has extensive experience in international and industrial companies, especially in Africa. A graduate from Angers (France) Business School and a qualified Chartered Accountant, Xavier is fluent in both French and English. Colin is a qualified Chartered Accountant with over 9 years’ experience in corporate at group level. Colin previously worked for FerroGlobe, the world’s largest Silicon Metal producer, and a NASDAQ listed entity where he performed all group finance functions including the changeover throughout acquisitions and mergers for the South African operations of mining and manufacturing. Nenad holds a Bachelor of Science degree in Economics and has over 25 years experience in business. Nenad joined Bell Equipment Switzerland in 1997. After the company underwent a restructuring process, Bell Switzerland was converted into a Bell dealership, with it’s base in Côte d’Ivoire, representing Bell for West and Central Africa. From 2008, he worked with Minosucra in Switzerland, an independent supplier of new and second hand machines and parts. Minosucra was officially integrated into the Kanu Group as Kanu Equipment International Sàrl in October 2014. Nenad is based in Switzerland and manages all client requirements for the business. Stéphane has joined the Kanu Equipment International team in Switzerland as Sales Manager. With 25 years of expatriation on the African and Asian continents, Stéphane brings his knowledge and experience to the services of major accounts with activities in West and Central Africa. Specialized in road construction, lifting, earthmoving and agricultural equipment, he will respond effectively to your needs. Regularly on the sites of our customers, he defines the solutions inherent to each exploitation. Thierry holds an Engineering Degree and has 15 years’ experience in the earthmoving industry, both on the customer and supply side. Based in Europe, Thierry supports Strategic Accounts with tailor-made solutions to meet on-the-ground expectations. Connecting market intelligence to monitor cross-border African operations, Thierry is able to deliver on home country commitments whilst adapting to local territory’s needs. William is a qualified auto-electrician and is one of the founding employees of Kanu Equipment. He has a vast amount of experience in Liebherr and Bell machines, is fluent in English and French and brings a wealth of experience to the Kanu Equipment Group. Matthew holds a M.Ed. from Delta State University in the USA. He started his career at Tractor and Grader Supplies managing and developing the Dealer and Export business into Africa. He is a specialist in the supply of Earthmoving Spare Parts within the African territories and the cross trade supply chain. Matthew manages the sales and operational functions of the OEM & Aftermarket spares across the Kanu territories. Bruce holds a Bachelor’s Degree in Commerce majoring in Economics, Management & Marketing. He began his career in marketing research with AC Neilson and then Research Surveys (TNS). He joined Bell Equipment in 2006 as a Machine Sales Representative. In 2008 Bruce moved to Bell Equipment in Zambia where he ended his time there as Managing Director. He moved back to SA in 2012 to work within the Bell Equipment South Africa operation as General Manager. Bruce has 10 years’ experience within the sales and operational side of the materials handling machine business. Bruce currently oversees and drives the dealer business in Botswana. Tony started off in the industry 33 years ago with Caterpillar, he then joined Bell Equipment where he worked for them in a number of roles in his 22 years of service, mainly as a factory technical Analyst in South Africa, then the UK and Europe, he finished with Bell as the Technical Director of Bell Equipment Zambia. Tony worked for 4 years in the Zambian mining industry looking after large fleets of mining and construction equipment before joining Kanu Equipment in 2016. As Operations Director of Tractor and Grader Supplies Zimbabwe, Mark was responsible for setting up the supply chain, logistics and warehousing and developing the After Market spares business. With the expansion of the business through the Kanu acquisition, Mark will continue to fulfil his sales and marketing functions and general manageemnt role within Zimbabwe and assist with the expansion and development of the East African market. Gareth has held several senior financial positions in West and Southern Africa. He has worked in various industries including Logistics, Breweries, Travel and Hospitality and Micro-Finance. He lived in Ghana for 14 years, in Zambia for 2 years and now is based in Kenya as the Managing Director for ESS Equipment, Kenya. He understands and excels in the challenging African business environment. With over 20 years of business experience, the last decade of which was gained in sub-saharan Africa, Warren has successfully project managed open-cast mining contracts and infrastructure development projects for listed companies in Botswana, Tanzania and Zimbabwe. Warren’s knowledge of the local business environment in Tanzania will contribute towards the sustained growth of Kanu Equipment in Tanzania. Bernd started his apprenticeship with CAT in 1980. He qualified in 1984 and worked in various departments as a technical analyst, product support and sales and last as field service manager. In 1995, he joined as shareholder with another company for ten years. In 2005, Bernd started his own company and was appointed as the construction and mining agent for LIEBHERR in Namibia until 2017. Bernd’s brings over 30 years’ experience to Kanu and is currently supporting 13 LIEBHERR mining excavators, ranging from 984 to 9250, with his team. Francois previously worked as a Technical Director at Saris Sugar and has numerous years of experience working with sugar cane and earthmoving moving machinery. Francois set up the Kanu Equipment Group business in Côte d’Ivoire, and is now back in his home country, Mauritius, to set up another branch. In his career of 30 years Brian has been working in the Construction and mining industry running his own business in construction and civil engineering. He has been involved with three OEM in sales and business development. Lara has over 25 years’ business experience, gained internationally in Mozambique & Ghana as well as her native South Africa. She spent 16 years with DHL International in a managerial capacity, running a number of branches and regions. Lara joined the Kanu Equipment Group in June 2016, having spent the last 5 years as General Manager for a Logistics company in Ghana, and is responsible for all operational aspects of our Ghanaian branches. Her understanding of the local business environment will be an asset to all our West African customers. Christian was previously the manager of the service centre for Metso Ghana and has a wealth of experience in machinery and client service in West Africa. Christian relocated to Liberia to establish the business, which has an on the ground service centre and capability to provide spare parts. Gwen has an MSc in Mechanical engineering and an MBA. With 18 years experience in sales and marketing in the automotive and equipment industries, he has strong strategy and business development skills. Gwen is responsible for managing the Kanu Equipment business in Cameroon where his team trades, rents and maintains the equipment and machinery that we distribut. Russell started off in the industry 27 years ago as a qualified Earthmoving Technician with Bell Equipment SA. Through his working career he was Technical Director of Bell Equipment Zambia and later became Managing Director. Russell then moved into contract mining with Chantete Mining Services Ltd as a shareholder and their Technical Director where they had operations in Zambia and DRC. His understanding of the African market and industry is an asset and will be a huge contribtion towards the growth of Kanu Equipment in DRC. Living in Central Africa (Zaire) since 1970, Nathalie has a great deal of experience across many regions on the Continent. She was also in the privileged position of assisting Kanu Equipment’s hummingbird to take flight, starting operations with the founding members of the organsation at its onset in 2012. Born and raised in Ivory Coast, Guillaume started his logistics career 21 years ago as the Head of the Import-Export & Transit department at SOTICI in Côte d’Ivoire before he joined the mining industry where he worked 7 years as a Gas, Oil & Mines Manager for SDV COTE D’IVOIRE. Guillaume returned to logistics with the Bolloré Group where he first served as the Head of the Hinterland Transit department in Douala, then as the Director of the Oil & Gas Logistics and later became the Director of the Oil & Gas Project. His knowledge of the complex economic environment in Ivory Coast will contribute to furthering our growth in this territory. Bryan has over thirty years’ experience in the lubrication, condition monitoring and earthmoving business. In 1990 he became the Founder of Tribology Services, the leading oil analysis and condition monitoring Company in Zimbabwe. In 2005 Bryan became the Managing Director of Machinery Exchange, Zimbabwe. In 2010 Bryan formed, in conjunction with a company of the same name in South Africa, Tractor and Grader Supplies, Zimbabwe. 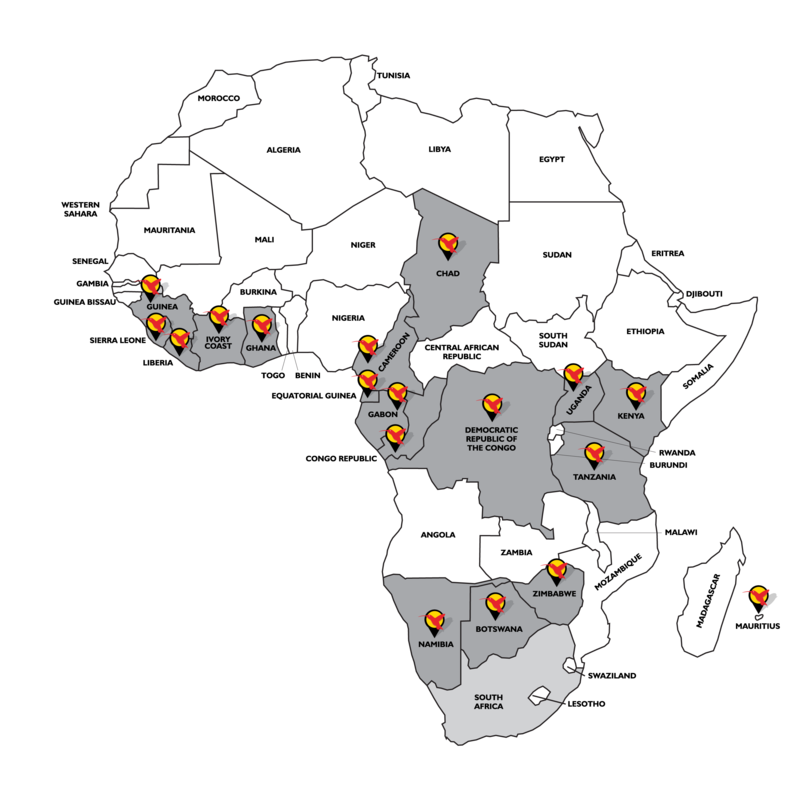 Kanu Equipment is actively involved in the development of the following countries: Sierra Leone, Liberia, Guinea Conakry, Cote d’Ivoire, Ghana, Cameroon, Congo, Gabon, Equatorial Guinea, Uganda, Chad, Namibia, Kenya, Tanzania, Botswana and Zimbabwe. Kanu Equipment trades as ESS Equipment in Kenya and Kanu International (based in Switzerland) acts as a liaison office between the territories. As of 1 October 2014, Kanu Equipment Limited and Torre Industries have acquired 100% of Minosucra SARL that became Kanu Equipment International Ltd. Minosucra, a Swiss-based company with a 20 year history, supplies equipment, spare parts and ancillary services to customers in Central and West Africa. Minosucra has several key customer relationships and long-standing service and maintenance contracts in the region. It’s operations are therefore highly complimentary to the Group’s growing Bell and Liebherr equipment dealerships in Central and West Africa.